The branched chain amino acid l-valine is an essential nutrient for higher organisms, such as animals and humans. Besides the pharmaceutical application in parenteral nutrition and as synthon for the chemical synthesis of e.g. herbicides or anti-viral drugs, l-valine is now emerging into the feed market, and significant increase of sales and world production is expected. In accordance, well-known microbial production bacteria, such as Escherichia coli and Corynebacterium glutamicum strains, have recently been metabolically engineered for efficient l-valine production under aerobic or anaerobic conditions, and the respective cultivation and production conditions have been optimized. 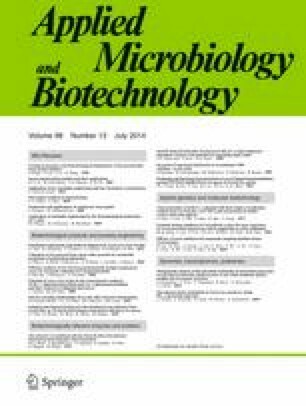 This review summarizes the state of the art in l-valine biosynthesis and its regulation in E. coli and C. glutamicum with respect to optimal metabolic network for microbial l-valine production, genetic strain engineering and bioprocess development for l-valine production, and finally, it will shed light on emerging technologies that have the potential to accelerate strain and bioprocess engineering in the near future. The work on and with l-valine-producing strains in the authors labs was partly supported by governmental german funding organisations: the Fachagentur Nachwachsende Rohstoffe (FNR) of the Bundesministerium für Ernährung, Landwirtschaft und Verbraucherschutz (BMELV), by the Bundesministerium für Bildung und Forschung (BMBF) and by the Deutsche Forschungsgemeinschaft (DFG).